Coach Tejuk Knockout - Elo-Boost.net - LOL Boosting & Coaching service! Hello! 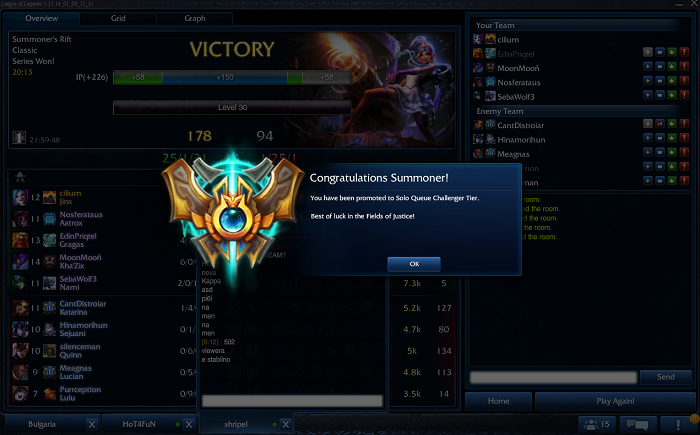 I'm cilium, Challenger EUNE, Master player on EUW. 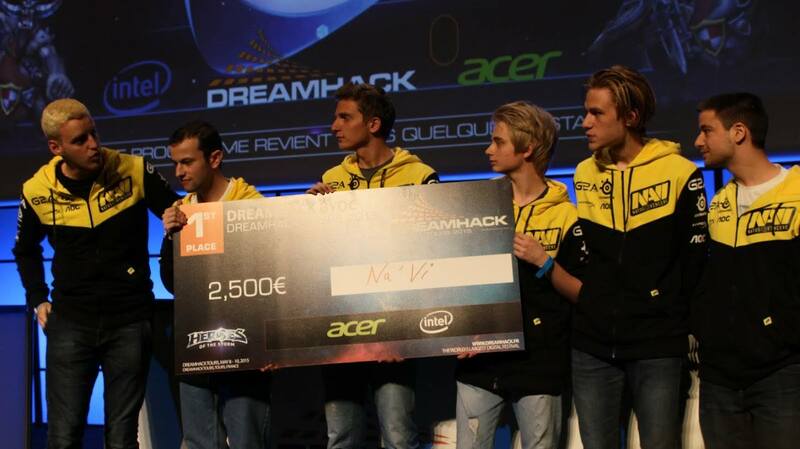 I've competed in numerous MOBAs, played professionally in both Dota 2 and HotS and was semi pro in League for a bit playing in Eternity Gaming alongside people like Vander (ROCCAT, H2K), AoD (mouz, H2K) and Mozilla (FNC Academy). 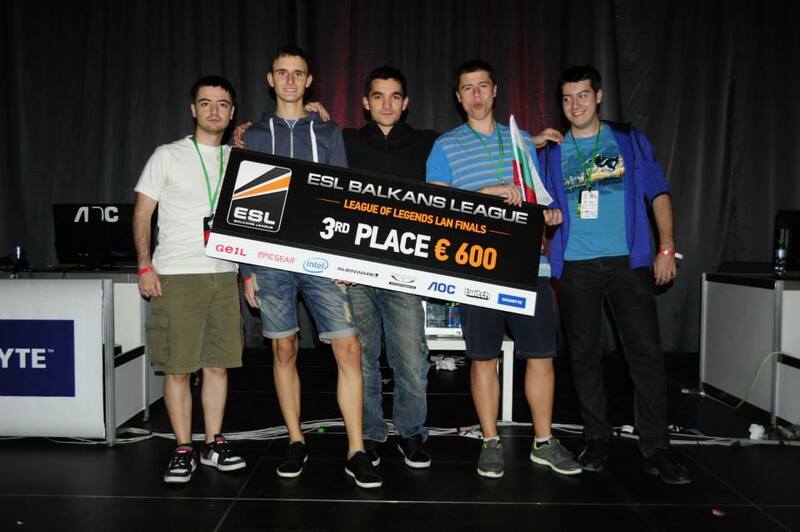 In League I mostly focused on local tournaments and won a ton of them, including a 3rd place finish in ESL Balkans League in 2013. 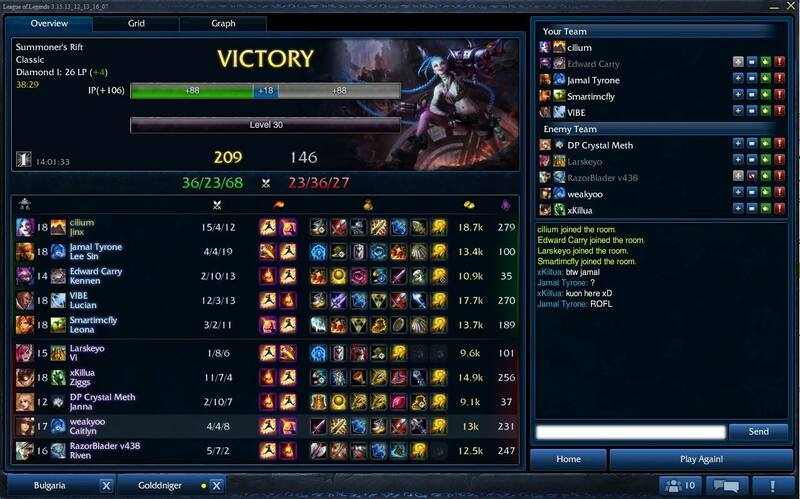 I can coach for all roles, my game sense is really good and I'm an excellent theorycrafter. I'm the type of guy that spends half his time watching replays and theorycrafting. 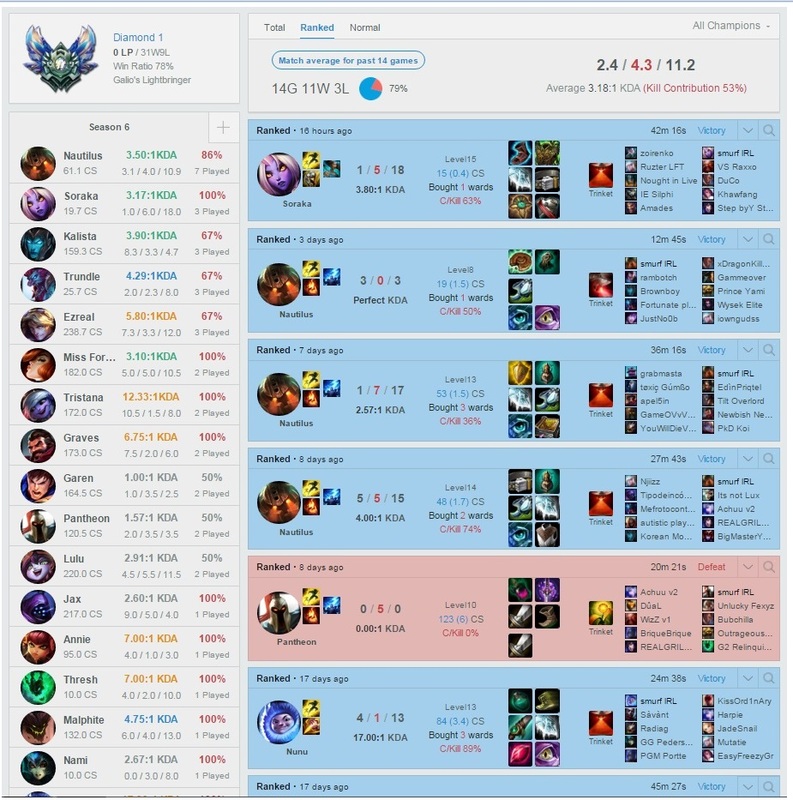 Whenever I give you a set-up for runes, masteries or champion picks, I can guarantee you that 99% of the time it would be the most efficient way you could do it. 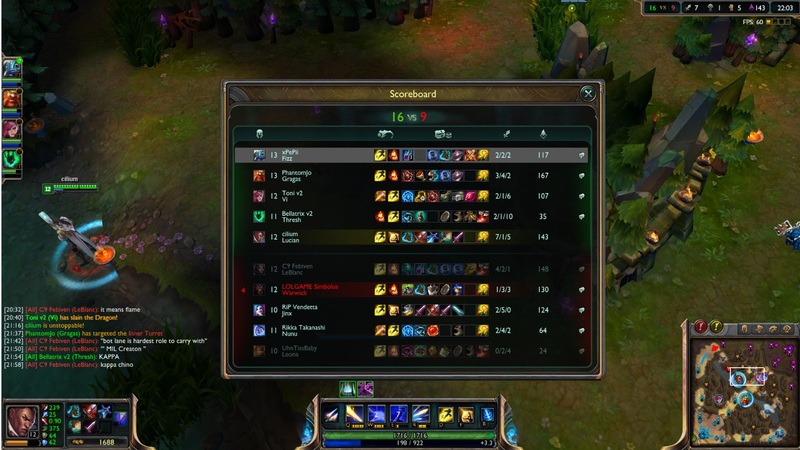 My method of coaching involves mostly replays or watching a game live through shared screen, we can also Duo Queue while I teach you. I keep track of the lessons and give you the notes after it. 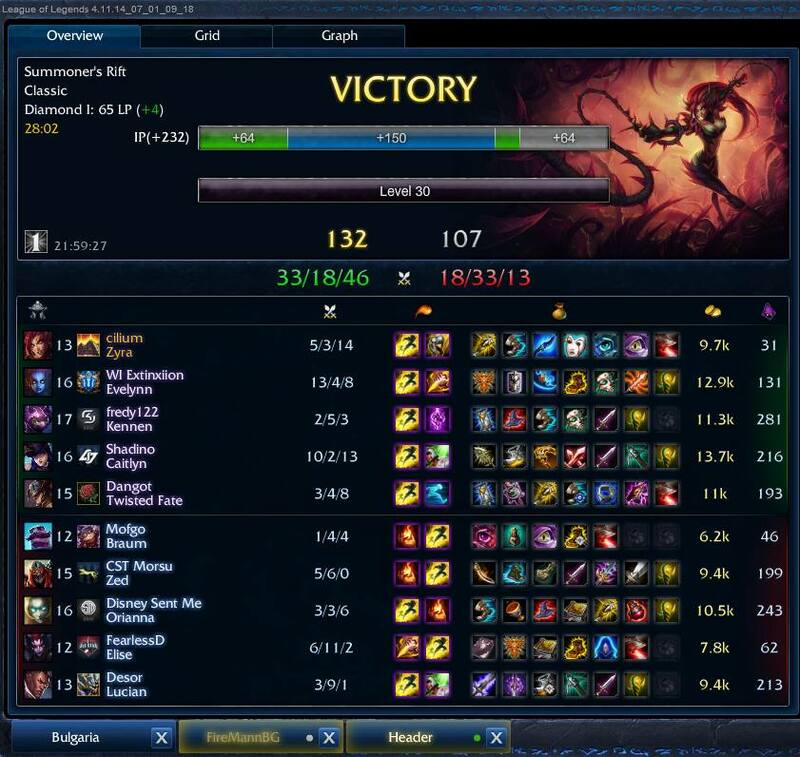 Really nice coachWe went through basics things as support, on how to get advantage on lane.I recommend him to you !I'll get a lesson again !